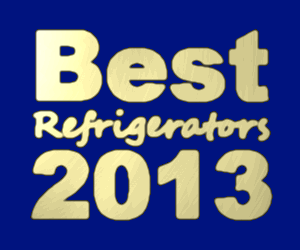 What are the hip and trendy kitchen designs that decorators are raving about in 2013? Here we detail some of the best ideas for sprucing up your kitchen with a modern and affordable look! 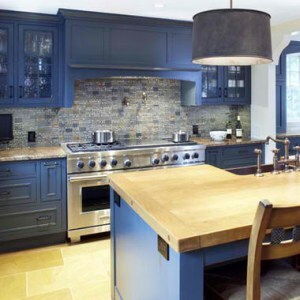 Kitchen decor trends for 2013 are surprisingly affordable. 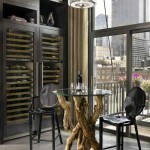 There are a lot of signature pieces like barstools and pendant lights that grab a lot of attention. The countertop choices tend to be much more affordable than they have been in recent years. I don’t know if the style or the economy is the main reason for this. It seems like more industrial elements creep into kitchen design every year. At first it was barstools. Last year it was pendant lights. Now it’s both of those elements along with distressed wood floors. The most challenging part of this design is finding appliances that will match. This style uses a lot of metals that are aged or have uneven patinas on them, but how does that translate into an appliance? It’s one finish you’re unlikely to be able to match or replicate. The designer in this picture chose more of an integrated appliance solution and also used stainless steel on the oven so you could go either way. 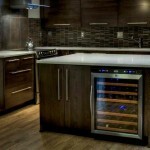 The GE ZIS480NX and the KitchenAid KSSO48FTX are both side by side refrigerators that accept custom panels. They can be built-in too! I like the more subdued faux panels because then the focal point is on the unique and oversized pendant lights. 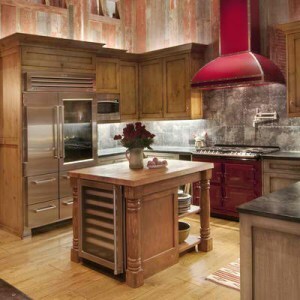 Plus, when the industrial look is out, you’ll have a traditional appliance that can work with the trends for next year. Sick of the high cost of granite? It is still in style but there is finally an alternative this year and it’s only a fraction of the price. In this Country Living photo the homeowner has use old wood floors as their countertop. Wood countertops usually do require a lot more maintenance though. A more conventional choice is butcher-block. The color of butcher-block this year is much darker than we’ve previously seen. I’ve even found some darker walnut stained versions. It is possible to match this with a built-in panel ready refrigerator but in most kitchens this year we’re just seeing natural wood in one area of the home. Plus, in the case of the salvaged wood idea it will be more difficult to match it to a thinner panel. So instead, keep within the vintage feel. Since the kitchen is so neutral I would try a fun color of appliance. Smeg has smaller capacity appliances and the colors of the pink FAB28UROR and the pastel green FAB2UV add character to any vintage room. This year designers are using antiques along with contemporary luxury items for an antique feel. Neutral color palettes merge the designs like this kitchen from Arcanum Architecture. The glass door Sub-Zero 648PROG is used in a farmhouse style room but it doesn’t draw attention away from the trestle table that is used instead of an island. 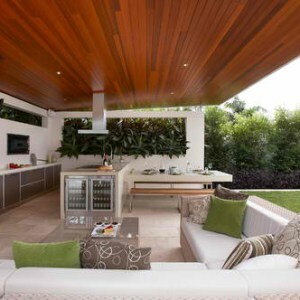 We haven’t been seeing green used as often in kitchen design as it was a few years ago. 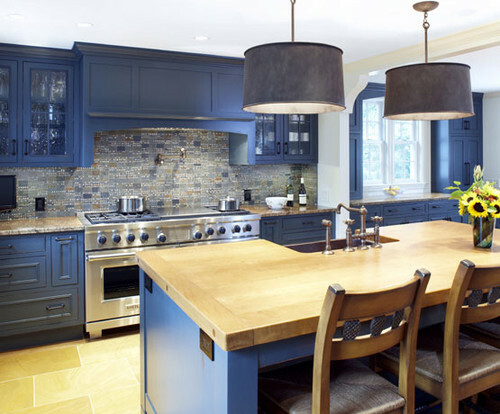 This kitchen is from 2012 but the color is really popular for 2013. Pantone’s color of the year is emerald which is more saturated and wouldn’t be well suited for a small kitchen. The bottom freezer style fridge looks almost like an armoire with the surround around the vent. Some commenters guess that this is a Liebherr fridge but it is never confirmed what exact model is it. 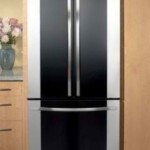 One custom panel, fully integrated, French door refrigerator from this brand is the Liebherr HC2062. This room is successful because almost everything else in the room is neutral, from the oversized floor tiles to the beautiful crystal chandelier. It seems like just last year when there were tons of tutorials on how to paint brass chandeliers, handles, and knobs. Now it’s the trendiest metallic color; although this is more of an aged brass. We aren’t seeing as many oil rubbed bronzed faucets and pendant lights though. This also brings up a design quandary. The adage used to be that you were never supposed to mix metal tones in the same room. 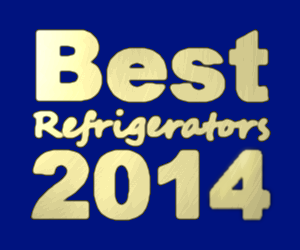 However, when this was a popular saying; stainless appliances weren’t used as often in homes. When you work with this color you don’t have a lot of choice with the rest of your metallics. Now the trend is to mix and match metals so you can still use brass even if you don’t have custom panel appliances. Don’t let a basic side by side like the 51313 from Kenmore or the RS265TDRS by Samsung stop you from updating your color palette. Just use both colors in several spots throughout the room such as accent lighting or pendants and make sure that there is one big statement in each tone. if you see aged brass at a thrift store you can finally buy it without having to undergo a huge DIY project! You will find two major color palettes in kitchens this year. This first is a totally neutral look with warm wood touches. The second is a cool gray or dusty blue room with warm wood touches. Cool colors usually haven’t been used in kitchens as this space often has warm reds, oranges, and yellows to help stimulate the appetite. However, I think that blue is the perfect complement to the trend in stainless steel. 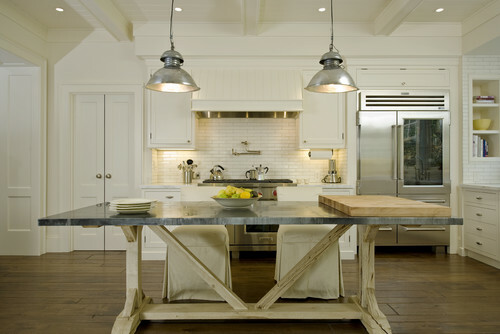 Silver and blue itself would be too cold but the island countertop and stools gives it a slightly rustic feel. Sure, you could opt for an actual blue fridge like the cobalt Viking VCSB5481CB. However, a stainless option like the Viking VCFF136DSS won’t become outdated and can work with many other color palettes. The past few years of kitchen design have had a lot of bold statements and colors like mosaic glass backsplashes, chalkboard fridges, and turquoise paint colors. 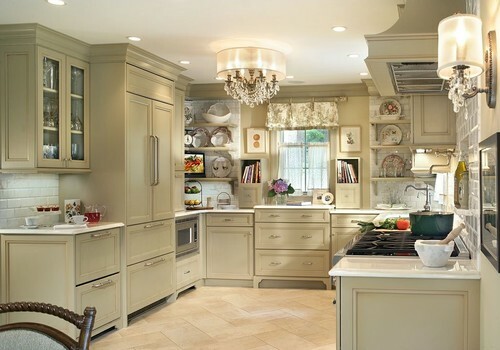 In 2013, there is a more subtle neutral palette with fully integrated appliances and a few farmhouse or industrial touches.